Conference venue in Hotel Royal Atlas 5* Hotel. **Free Cancellation until 15 May 2015. 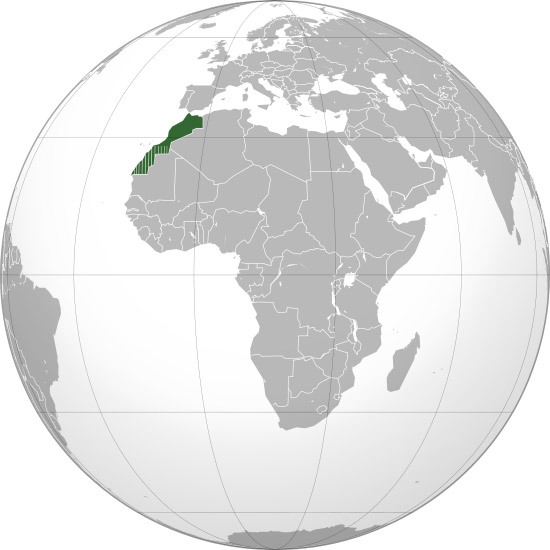 Morocco, officially the Kingdom of Morocco, is a country in the Maghreb region of North Africa. 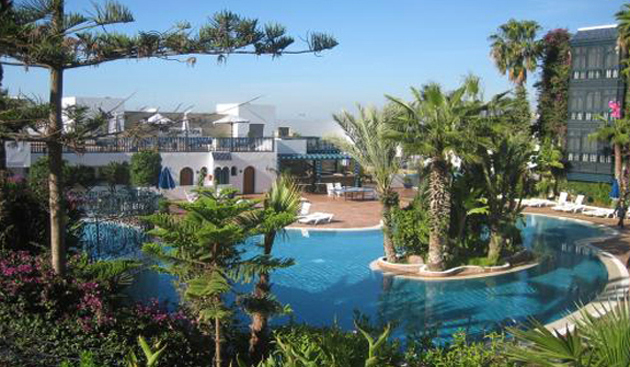 Morocco offers the guaranty of excellent quality sunshine for most of the year. Spring time is particularly warm and pleasant. 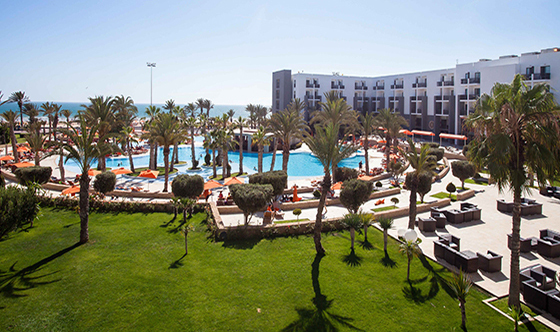 In spring temperatures are around 22 °C in Agadir. The trees are in bloom and the mountain peaks still have snow on them… ideal for making fantastic photos. Agadir is the second largest tourist city in Morocco after Marrakech, It is the largest and most popular seaside resort in Morocco. The city is located on the shore of the Atlantic Ocean, near the foot of the Atlas Mountains, just north of the point where the Sous River flows into the ocean. 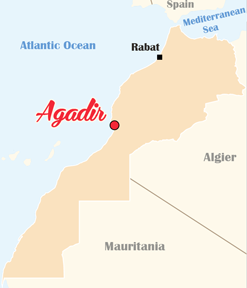 Agadir airport: The easiest way to get to Agadir is to fly to Agadir Al Massira Airport (AGA). Airlines that fly there include Royal Air Maroc, British Airways, Easyjet, Ryanair, Thomas Cook, TUI, Transavia. The flying time from London, Berlin or Paris is about three hours. Marrakech airport: We can also fly to Marrakech Menara Airport (RAK). Agadir is 160 miles from Marrakech and takes just over two hours to drive on the new Highway. Taxi: The taxi fare from the airport to any hotel in the tourist sector in Agadir is fixed by law at 150Dh* in the daytime but after 8pm this changes to 200Dh. This rate is regardless of how many passengers are in the vehicle but strictly a maximum of four.